Another nice work... I like it! 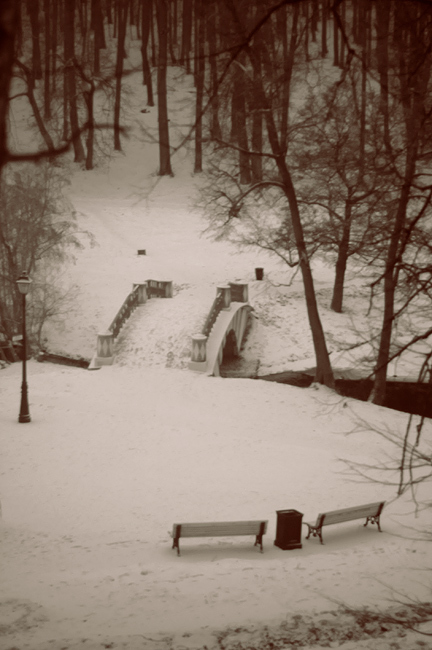 nice view, I like the position of the park benches to the bridge! Beautiful winter composition, textures and tonality!